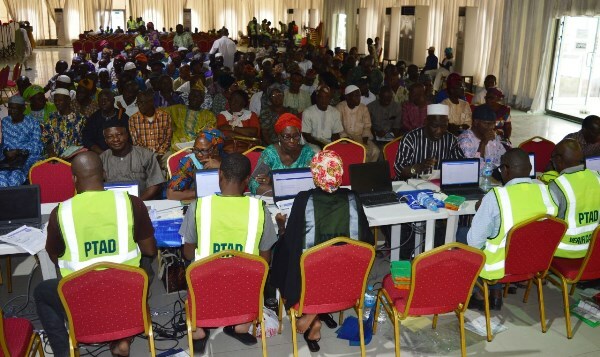 The Pension Transitional Arrangement Directorate (PTAD) has started the verification of more than over 20,000 pensioners of Nigerian Telecommunications Limited (NITEL). The pensioners on the platform of under the Defined Benefit Scheme (DBS), also included those of NITEL’s mobile subsidiary, MTEL. The exercise started on Monday in Enugu, Lagos and Port Harcourt centres. The phase two will be conducted in Gombe, Kano and Abuja from beginning from Feb 5. 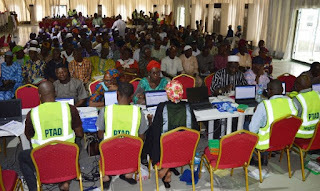 For Lagos, the Executive Secretary of PTAD, Mrs. Sharon Ikeazor, said affected pensioners will be verified from Jan 15 – 27..
She also said pensioners in Lagos could also get verified in Ojota and Ketu . “For Abuja, pensioners will be verified from Feb 5 – 13. “Gombe centre, pensioners are to verified in the Federal College of Education centre from Feb 5 – 8. “Pensioners in Kano would make themselves available for the exercise from Feb 5 -13“. The pensioners are required to present original and photocopies of their required employment records and documents for the exercise. Next-of-Kins were also mandated to obtain a Letter of Administration from the High Courts of Justice for the deceased pensioners, among other relevant documents. Affidavit for loss of mandatory documents, including letter of retirement, would not be accepted for the verification. Security agencies are stationed at the venues to check fraudsters. She also said mobile verification would be conducted for the sick and infirmed pensioners at their locations. These categories of pensioners are advised to contact PTAD on the number 08000-2255-7823 for special arrangement.